Made from a real skunk skin with a face and tail and backed with leather. The deluxe skunk bag measures 8" x 8" (20 cm x 20 cm) and has an adjustable 16" (40.5 cm) shoulder strap. 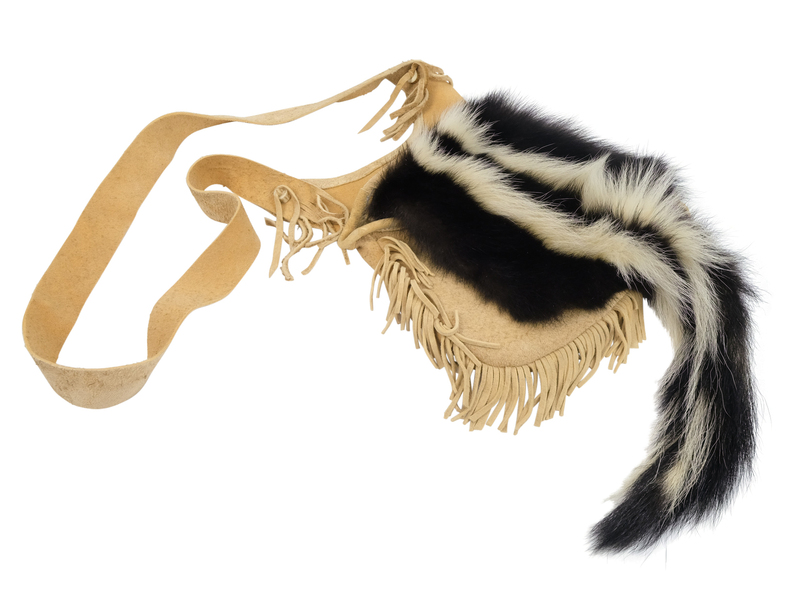 We also have other skunk bags made with a real skunk skin and tail and commercial brain tanned leather. Each bag is unique so please see our gallery for available bags. Click HERE for less expensive imitation skunk fur bags made from rabbit fur. Click HERE for more Fur Bags. Click HERE for Skunk Hats.